The Hydra-Matic 6T40 (production code MH8/MHB) is a six-speed automatic transmission produced by General Motors for use in front-wheel-drive vehicles with a transverse powertrain orientation. Developed in-house by General Motors, the Hydra-Matic 6T40 is part of the 6TXX family of transmissions that succeeded the 5TXX family. The 6T40 is more robust than GM’s 6T30 gearbox. Six-speed automatic transmissions are integral to GM’s initiative to offer vehicles with excellent fuel economy. The Hydra-Matic 6T40 transmission delivers on that promise. It was designed for compact and midsize FWD applications and is part of GM’s family of technologically advanced, fuel-saving six-speed automatic transmissions. 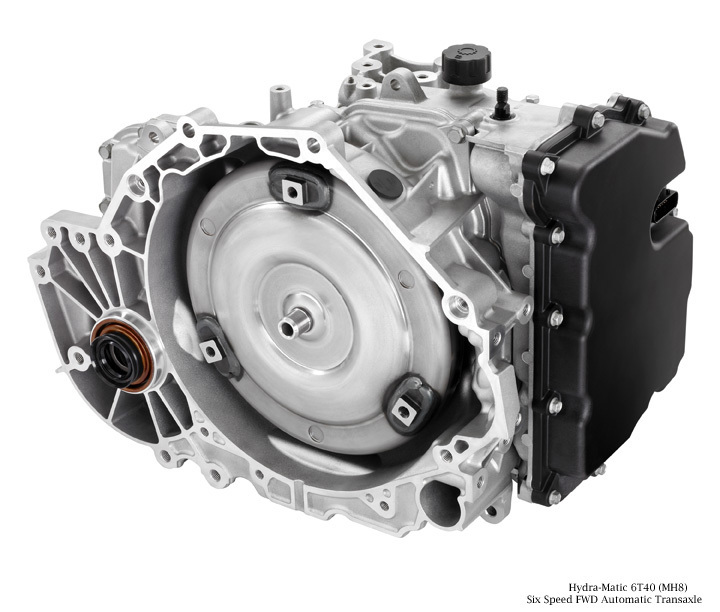 Shared traits between the 6TXX family – and other Hydra-Matic six-speeds is to reduce complexity, size and mass, including clutch-to-clutch operation that enables the six-speed to be packaged into approximately the same space as a four-speed automatic. 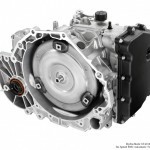 Instead of “folding” the transmission around the end of a transversely mounted engine, which has been one of the dominant GM transaxle design conventions, the 6T40 contains all of the gearing on the engine crankshaft centerline. The advantages of this layout enables a shorter overall vehicle length, more interior room and lower powertrain height. Three planetary gearsets are used with three stationary clutches and two rotating clutches, which save space compared to freewheeling designs. Freewheeling mechanisms allow accurate timing between shifts, but also take up more space and add more components to the transmission. Through electronic controls, the clutch-to-clutch concept of the 6T40 delivers optimal shift timing. The torque converter in the 6T40 uses a single-plate lock-up clutch and features a “hyper-elliptical” oval cross-section shape. This design reduces the thickness of the torque converter, reducing the space it needs and keeping the overall width of the engine and transmission as narrow as possible for packaging advantages. The single-plate converter clutch uses GM’s electronically controlled capacity clutch (ECCC) technology to help reduce engine vibrations and ensure smooth operation. The 6T40/6T45 is filled for life with DEXRON-VI premium fluid, which does not require changing under normal use. It was developed to have a more consistent viscosity profile, a more consistent shift performance in extreme conditions, and less degradation over time. The fluid was validated to improve durability and shift stability over the life of the transmission.